If you’re looking to transform your current website into a fully functional community-powered site, you can easily find tons of different paid memberships plugins in the market. However, aside from installing the right plugin, you’ll need to use the right WordPress membership themes as well in order to leverage the full potential of the community you grew on your site. 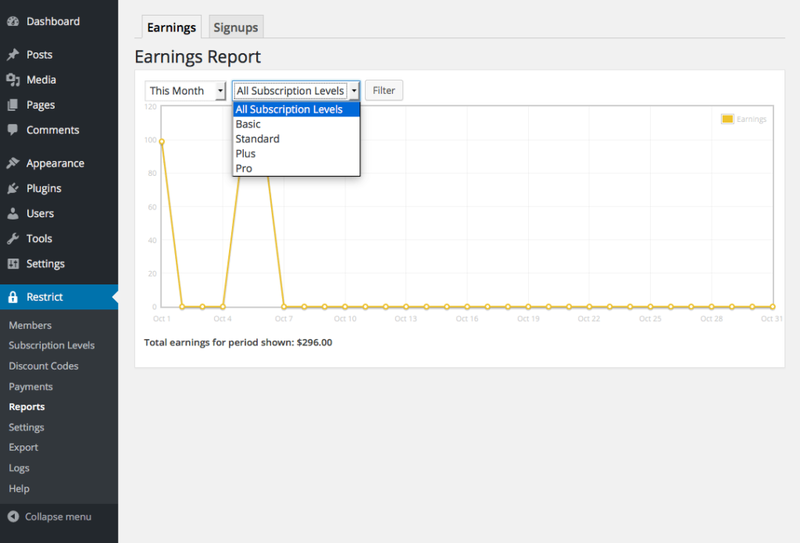 Maybe you have never thought of building a subscriptions site yet. Whether you’re looking to create a steady stream of recurring income and increase user engagement, creating a members area is always the best choice for getting more and better traffic to your website. In this post, we’ve collected a handful of premium WordPress membership themes you should try. Take a look. Whilst you may find free themes, we always argue that you get what you pay for and we’d always recommend getting a premium download where you can get a much better overall deal. Fast solid WP hosting – we highly recommend getting yourself a fast VPS (Virtual Private Server), because your returning visitors are going to put a lot of strain on your site and shared hosting just won’t cut it. A VPS, on the other hand, can take a lot of load, especially if you work with a company who is able to optimize it for traffic, speed and performance. A plugin which restricts specific areas to members only – of course, the real intent behind creating a restricted content site is such that your members actually pay to access the specific areas. This can be done by integrating a plugin which restricts access to logged in and subscribed members only. You may want to click here now to look at our recommend plugins below. An appropriate membership WordPress theme – once again, this is a very important part of your overall strategy. In reality, the look of your site is going to make a real difference whether visitors convert to members, and even more importantly, remain subscribed to the plans they choose. Given that there are various types of sites for members you can create, we’ve identified a number of templates for different use-cases (clubs, rentals, dating sites, directory listings, Q & A etc. Continue reading below to see an awesome selection of products which are able to support all of the requirements for creating a members site. Convinced? Let’s have a look at a few of the things we’ll need to get up and running. We do believe that once you’re going to use a good premium members-only plugin, you’ll be doing a website a huge disservice if you go for a free membership WordPress theme. Premium themes are so much more refined and give such a breadth of functions that we do believe they are worth the investment. You really can’t put a price on the trust you’ll earn by using a WP item which is obviously a premium purchase. To help you customize the site for your own needs, with such stuff as brand colors, imagery, logos and everything else that needs tweaking, you’ll find that most of these have flexible theme options to make it ready for your business. Remember, you’re asking people to pay a fee to be able to access your premium content, so you need to make sure you’re not looking cheap yourself by using a free item. Here’s our top pick of premium membership WordPress themes. Undoubtedly, Divi is one of the best choices if you’re looking for a multi-purpose and membership site theme. It lets you create an eye-catching layout without having to know the nitty-gritty of designing and coding. In Divi, you can find tons of different features such as theme options and also including a visual builder that allows you to create almost any kind of layouts you can imagine, to create an impressive result. Divi is bundled with a login module for member sites that allows you to display a login form anywhere on your site. This can be a cool membership WordPress theme feature, so you don’t necessarily need to rebrand the default login form. With such a popular item, you’ll find complete documentation and support. It is also bundled with one of the most popular page builders around – the Divi page builder plugin. 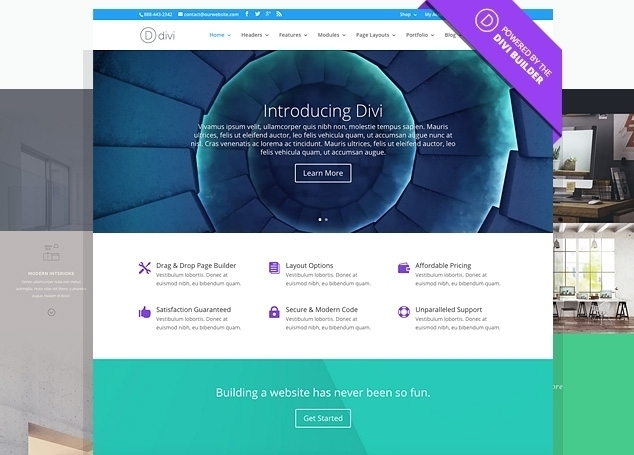 Read our complete Divi 3.0 theme review here. If you’re also interested in how to create a members site using Divi – this is a great article. PS. The above offer is only available from CollectiveRay and grants you a 1-year or lifetime license. One of the best things we love about Kickcube is that aside from the usual site login, it enables social login as well, so your users don’t need to create a separate login, something which most modern sites allow today. This is an optimal feature for members area WordPress themes especially if you’re struggling to convert more visitors into registered users. Kickcube also gives you the ability to create a page layout via the front-end of your membership website theme similar to Pinterest or Zergnet.com. Since it works out-of-the-box, you don’t need to install a heavy product like BuddyPress for enabling front-end article creation. Having said that, Kickcube is page builder friendly, should you require to use one. This membership WordPress theme also supports Restrict Content Pro (RCP), one of the best premium plugins for this niche. Do keep in mind that Kickcube is not bundled with this. But if you’re looking for a membership WordPress theme that supports RCP, Kickcube could be a nice choice. 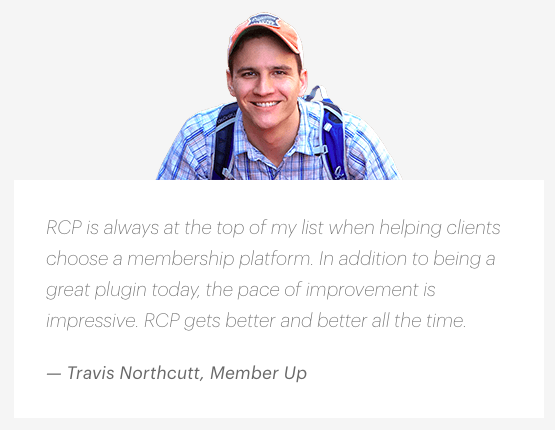 Supported plugin: RCP (Membership theme is not bundled with it. Installing this plugin is optional). We’ve already discussed above that one of the best ways reasons to create a site for members would be if you own a magazine or newspaper and would like users to be able to access the premium content online, but restricted only to those who have actually bought a subscription from you. Besides magazines who have a physical copy and want to digitize their presence, this also applies to newspapers who want to shift their audience to their online presence, but still restrict it to paid users. As you can see from the above screenshot of a demo of MH Magazine theme, this is one of those home page layouts which is perfectly suited exactly for this scenario. It follows the exact structure which you would expect from an online magazine, with a number of scrolling headline articles and then other titles in different categories. There’s lots of room for advertising within this modern and one of the best WordPress membership themes, whilst you can also use the background for additional advertising space (both to push people towards conversion or for external advertising to monetize the site). It integrates very nicely with plugins listed below allowing for a smooth implementation of a paid magazine or newspaper and has full documentation to go with it. Askit is a fully functional question and answers WP theme. Indeed, it is one of the most advanced themes in the ElegantThemes marketplace. With this theme, visitors can get answers to their pertinent questions by posting it on your domain. AskIt is more than just a forum theme. It lets you create a StackExchange kind of forum where users can get answers to their questions until a correct answer is chosen by the question author. All of the users can also vote different answers. Given the vendor of AskIt, you’ll find that you can also use the Divi page builder plugin should you require it to customize specific layouts and pages. Julia – Talent Management lets you create sites for the talent/model industry. As you can see it plays around with shifting colors and a monochrome look and feel. Julia is a neat fit for creating sites for talent agency or agents. Once a user registered on the site, she or he can update their profile via backend. Alternatively, she can send the details to the agency through a contact email address or the prominent social media contact details. After installing Julia, you can install free plugins associated with it. LoveStory is a template best suited for creating a dating WordPress membership site. It has almost all the built-in features you’ll need in this kind of theme such as extended user profile, different roles and membership levels, chat messages and more. Extended profiles: It allows users to easily edit profiles and upload pictures. Chat messages: Users can read and write messages. The built-in chat feature provides live chat notification. WooCommerce support: LoveStory has a built-in system in which all payments are processed with WooCommerce. You are also allowed to limit the number of messages and photos for each user based on the user level. Recommend Reading: If you’re looking for setting up a network or dating site, you might want to look at our article: 10 Amazing Themes to create a community or social network. Listable is best suited for creating and monetizing a local or global directory which asks for a fee for listing a business or product. It has tons of features such as listing cards, which makes it a superb choice to go for if you’re creating a directory of places, establishments, locations or other similar listings. To make it easier for you to administer, Listable bundles a number of free plugins. It also includes WooCommerce, such that you can have various ways of making money. These options include listing packages using Paid Listings, or subscription-based packages, which are a neater way to make money these days. The look and feel is inspired by an Airbnb kind of look, which is minimalistic but very user-friendly and functional, giving enough attention to the right elements at the right time, while also being SEO friendly. The site is also great if you can to create such stuff as a local travel guide. Flexible, customizable and fully supported: Listable has plenty of options to customize the look and feel of the site, with such stuff as filters, search, Maps for locations and other built-in functions. It integrates nicely with popular design plugins such as the Beaver Builder page builder plugin, you can also use a form builder to customize the entries. It comes from a Power Elite Themeforest author, meaning full peace of mind. A sound choice and we highly recommend you check out the Preview of Listable here. While Estate Pro is a real estate oriented membership site theme, you can create any kind of members-only websites that requires unlimited user levels, restricted page access, and post creation limits. It offers out-of-the-box support for most of the payment gateways such as PayPal, Authorize.net, and Stripe. 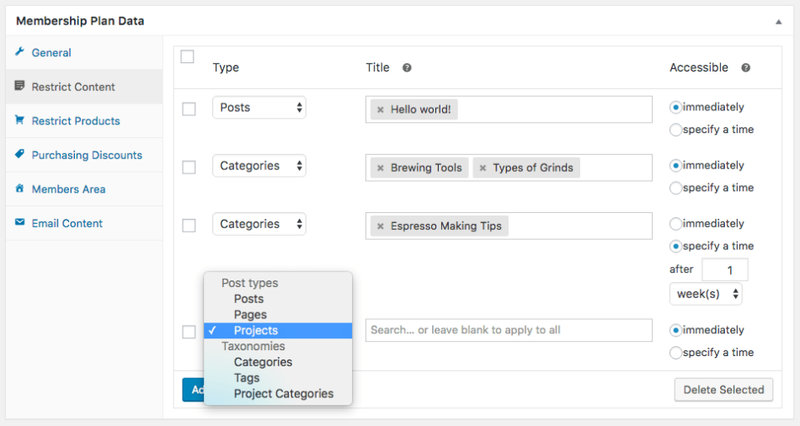 It also gives you advanced search feature so you can filter searches based on taxonomies, meta fields, and post types. As the name denotes, Ultimate directory is an all-in-one solution to create a directory portal. The best thing is this was not built specifically for a particular niche so it is an excellent choice as a subscription-based membership websites theme. You can create almost any kinds of directory portals such as Yellow-Pages style directory, local listing directory for business and service, Yelp-like review sections, etc. Category: Directory/listing / subscription based template. Atlas Directory & Listings is a yet another premium WordPress theme for directory listings, where you can feature locations, business listings etc. The main benefit of using Atlas is that your users will not need to access the WP backend at all. This can be a positive choice especially if most of your users are not comfortable with the WP admin panel. You have full control over how the front end should look like. Best of all, you can limit the listings for different levels and you’re allowed to accept recurring payments for subscribers. You’ll get notified through email for each user activity. If you’re looking to create a user directory where entries need to be paid, this is one of a few excellent membership WordPress themes for you. WP Estate is one of the best WordPress membership themes built for real estate agencies. It helps you to transform your domain into a property listing and booking platform. You can also allow users to register an account on your site, save their favorite properties and you can manage them from the admin. Below are the key features of WP Estate. QuickFinder enables you to create any kind your own version of the “Yellow pages”. Unlike most other membership WordPress themes, QuickFinder is not limited to any specific niche category. You can build any kind of yellow pages regardless of its niche. Best of all, it also allows you to create a landing page for your marketing campaign with beautifully designed page layouts. Maya Reloaded is a creative multipurpose theme that allows you to create different kinds of websites. It gives you 30+ different layout concepts to pick from, so you can create almost any design using it. It also consists of premium WordPress plugins such as Visual Composer, Slider revolution, Visual Composer for Google Maps, etc. This multi-featured product allows you to create a booking platform for properties. Users can list their properties which are ready for daily rent. You can make a commission for each submission or for each confirmed booking. It also allows users to sign up with their social login credentials, such that users are not required to create a separate account. You can sync booking to iCal. If you’re looking for a BuddyPress supported item to build a collaborative online community or a niche social network on a WP platform, Thrive could be a perfect choice. All of the features are added as WordPress plugins. So you can enable only those functionalities you’ll need for your eventual members’ sites. Best of all, it is a lightweight download with no tied-in framework so it is a great community membership WordPress theme. MikMag is yet another BuddyPress supported theme that lets you create a highly versatile members website. Besides BuddyPress, it also supports bbPress and WooCommerce plugins. In addition to social networking, you can create online magazines, review sites and creative websites with MikiMag. Again, another SEO friendly, awesome option for WordPress themes for membership sites, because all of these features can be fully combined to create the perfect experience for your organization. eList is a versatile directory listing theme by Elegant Themes. It enables you to create an online directory of any type and also enables front-end listing. It comes bundled with eCommerce integration, enabling you to charge per listing. In eList, payments are handled through PayPal. As this an ET product, you can also use other products such as Divi page builder or others available as part of your purchase, which means it also includes hundreds of page templates to easily create most common page layouts. 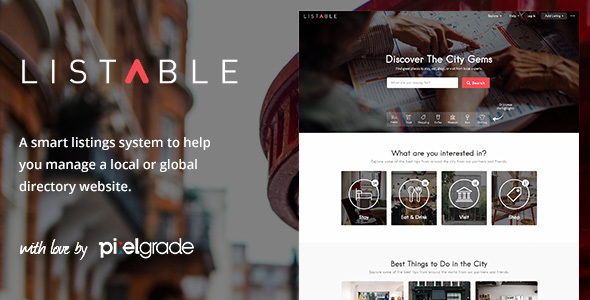 Explorable is a listing theme that lets you pin your listings and posts on a map. Explorable is best suited for creating travel related blogging sites in which location-based listing plays a vital role. Visitors can assign a rating to each listing on the map. Its advanced search capability lets you filter listing on the basis of types, location or star rating. This is a perfect option for those who want to create a members-only website to create an online-course. Powered by the Genesis Framework, this product from StudioPress is a perfect choice for those who want to profit from any training they have, and which they want to post online. Given that it is powered by Genesis, you can rest assured that this is a very well-supported, with a superb feature set and flexible configuration possibilities, which does not limit you in any way. 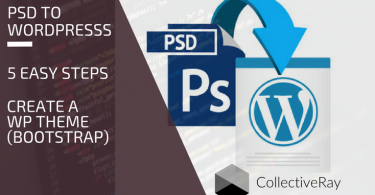 If you’re looking to create a training course that offers drag and drop responsive features and advanced customization features, you can’t go wrong with any theme from StudioPress, and of course, Academy Pro has been specifically designed for this use case..
Below are a few plugins and or features included or compatible with Academy Pro theme. If you want to create an online magazine where the members will have an exclusive access to specific content if they are paid up, the Paperback is a great idea for you. While its homepage features an area for your featured articles, it then gives different sections for different news or category items. Given that this is for a magazine, the theme has been optimized for readability with awesome typography and easily readable fonts and spacious layouts. This design will easily give you a beautiful result out of the box – and is very easy to set up even if you are not too technical yourself. 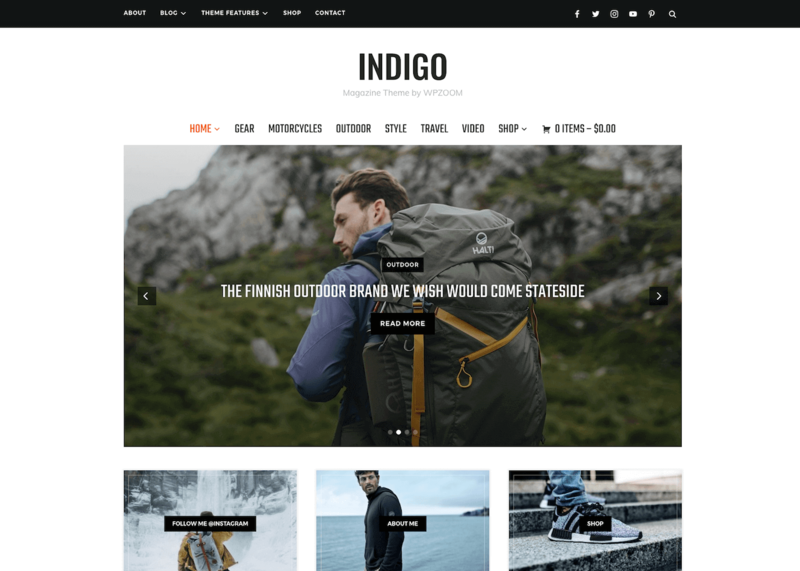 Given that we’ve brought up the subject of magazines, we also love this theme from WPZoom – Indigo. This is an awesome WP multi-purpose template with flexible features which can be used to create a restricted area. 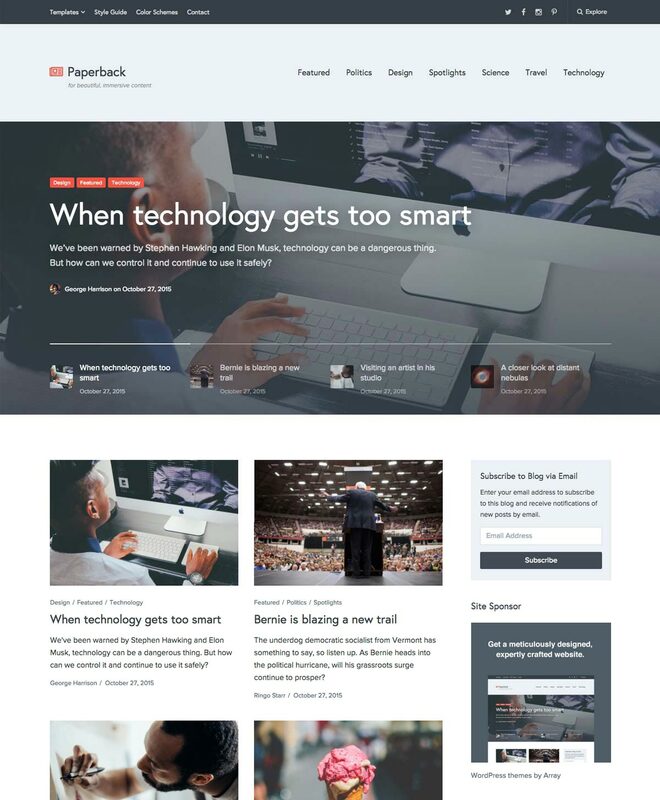 The homepage features two navigation menus, (you can use this for Public vs Members-Only) featured slider for top news items, a 3-column widget area for giving special attention to specific articles, a sticky menu, featured categories, various fonts and colors available and many more features you’ll find useful. Of course, given that this is an article-focused design, it also includes custom widgets to show the most popular posts, any recent tweets you’ve been pushing, email signup form, social pages icons, and anything else you’ll need. It includes various layouts, such as magazine, blog, two and three-column, and six different color schemes to select from, to be able to match your branding. For sure one perfect reason to create a subscription site would be for educational purposes. For this reason, Teachme would be an excellent choice. This is an educational template for those providing online course – for example, training providers would be a valid candidate to use, since this is key to such a company/course. Teachme has been perfectly designed in a way to help boost both your conversions and reduce your churn rate. The full-width design provides plenty of space to display all the courses available and their descriptions neatly to the member. 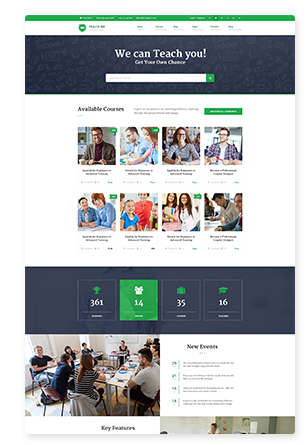 The header section can be used with an image slider showing the available modules with a CTA button to subscribe to the course. With Teachme, the plans can be displayed directly on the homepage as necessary – with the pricing table function being a convincing way to push all the benefits of each course. We have one final item for you, and it’s fitting that this is one of the most popular themes for magazines out there. From the ever-popular ElegantThemes, this is one for those who believe less is more. These guys know it all, an excellent look and feel and how to design a winning product, they are in fact also the authors of the most popular Divi, used by literally hundreds of thousands of users. Extra is a clean modern magazine theme for membership sites for those who want to take their things to the next level, and of course, given that we’re in this to build a members-only area, this template supports that very nicely. 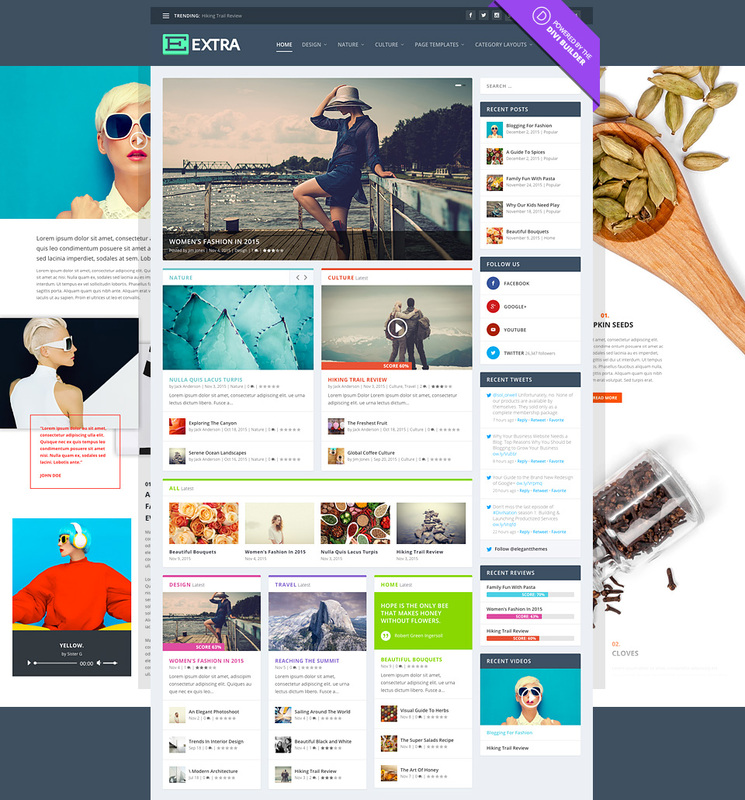 If you’re looking to build a premium news portal or informational portal, which is primed for premium subscribers, Extra is an excellent choice with great support to be used as a membership WordPress theme. As part of your download, you can also get access to a page builder to customize layouts and pages as necessary. Try as we might to find members-only templates which are free, we were unable to come across any good ones. If you are a vendor who has a free version of a members’ or subscription theme, do get in touch and we’ll list your item here if we find it suitable. Of course, to feature here, your download should have a number of features related specifically to members-only websites, or integrate with plugins which we mention next in this article. Now that we’ve reviewed a collection of best themes/templates, let us introduce and guide you to the best WordPRess membership plugin options that will instantly transforms your existing website into a members-only site. While these plugins will work on your site regardless of the design you’re using, we strongly suggest you pick an appropriate theme to leverage the full potential of the plugins you’re using. That said, most of the items listed in this article do not require anything. But if you are looking for additional features that these templates do not provide, you may try installing one of these. If you are looking for plugins and theme reviews, we share these very often on CollectiveRay – do visit often to find our latest posts. Let’s get started with our preferred options! If you’re planning on using WooCommerce as your ecommerce product, you can enable restricted access through an additional extension to this most popular of online shop extensions: WooCommerce Memberships. As you can see below, this extension allows you to create specific rules to be able to restrict specific parts only to users who are a paid-up member of the site. Given that this is an approved software by the WC team, you can rest assured of the quality of this. In fact, this has been given a very good rating by a number of reviews from actual users of the extension. The beauty of this extension is that it has tons of features, for example, you can choose to Drip content (i.e. release the articles strategically, let’s say over a number of weeks to mimic an online course, you can use it subscriptions, you can send customized emails, and most of all, it’s very easy to manage, as you can see from Chris Lema’s comments below. If you are a web designer, we would suggest going for the top tier plan, because this will more than pay for itself with multiple clients. If you’re not convinced, see what others are saying about this. The basic version of the Restrict Content is probably the best WordPress membership plugin – it is a simple option that restricts specific areas of your site to registered users only. Unlike the plugin from WPMUDev, RCP utilizes the default user roles like Administrator, Editor, Author, and Subscriber to restrict the content. It’s also got full documentation to help get you started. The premium version offers the following features. Wondering what people think about RCP? The following is probably something to keep in mind. MemberPress is another option worth trying. By downloading the premium version, you’ll also get access to Affiliate Royale Premium product that lets you create an affiliate program for your members’ site. MemberPress is a perfect fit for anyone who wants to restrict digital download resources from regular visitors. It also lets you group your digital items on the basis of member level. This is one of the most popular members’ site plugins in the WP official directory. 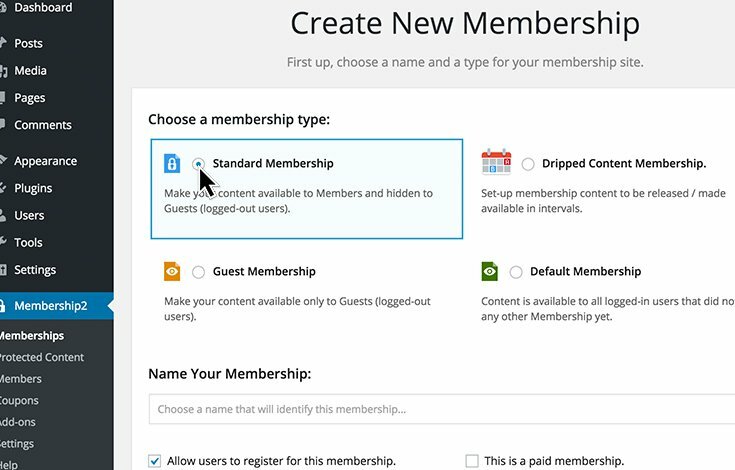 The free plugin lets you create a members-only site using one of the four base options. You can put your premium articles behind a paywall and entice your visitors to access it by becoming a member of your site. The pro version gives you everything you’ll need for your members’ site. For example, with the pro version, you can add paid access, create a free trial period and add coupon support to your site. With this, the real magic lies in the add-ons. Add-on features are not bundled with the premium version. You can install only those add-ons you’ll need for your site. That means you don’t need to deal with features you don’t need on your site. Do keep in mind that in order to download the Pro version, you’ll need to become a premium member of WPMUDev site. Once you become the member, you can access the premium version as well as the entire add-ons without paying anything extra. Our fourth option is from wp.insider – a highly-rated (4.5 star average) which is available as a free download both via the WP repository and it’s own website. The product supports both one-time fees and subscriptions to the site, you can have sections of the site which are free and other sections which are members-only, and payments can be accepted via Paypal primarily. 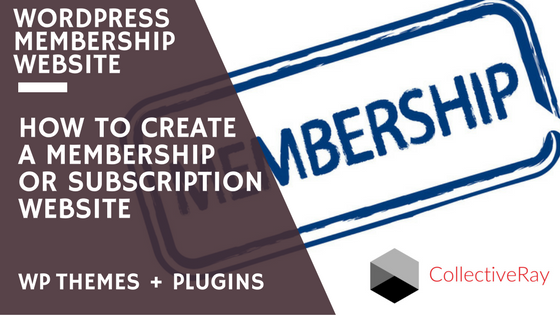 We’ve now seen both plugins and the best WordPress membership themes you can use, so you should be all good to go to start your new venture! Let us know if you need any more information and of course, we’d be more than happy to provide this! Other options we have not mentioned here include Paid Memberships Pro, which we will eventually add to this review. 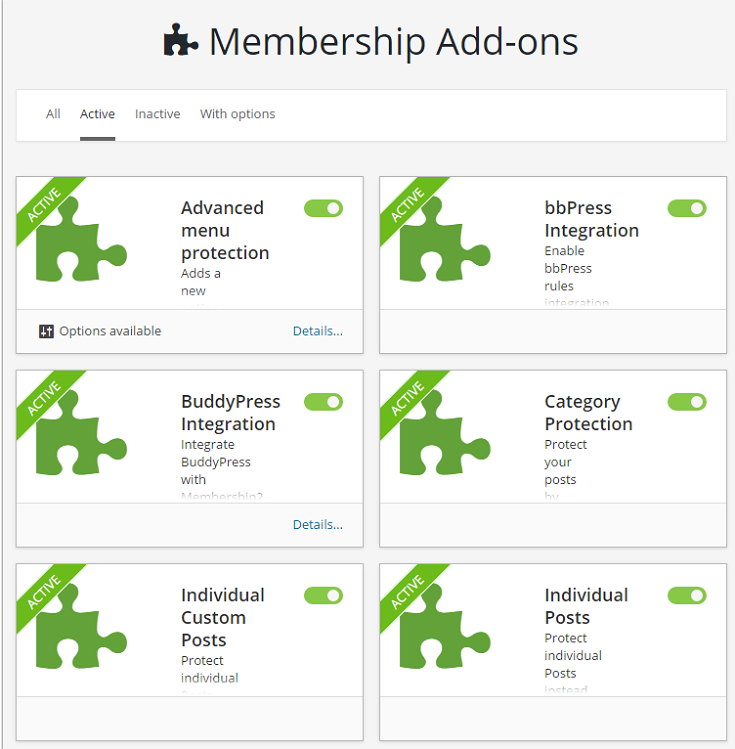 Have you tried any of the WordPress membership themes listed in this post? What is your experience with them? Share your thoughts with us by dropping a line below.